I've been on a romance roll lately. I can always rely on books like this to make me feel good. Second Chances is pretty much about just that - a second chance. Luke and Brenna share a history; things didn't work out the last time they were together but now that Brenna's back, Luke's determined to win her over. 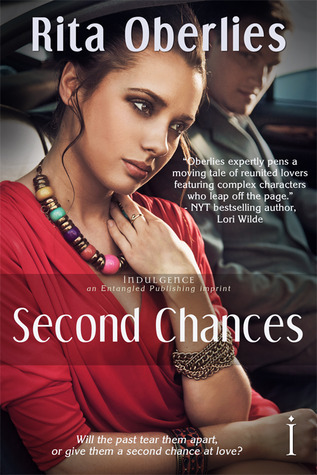 Second Chances was everything I wanted it to be - hot and cute with flirty, sweet moments. I love stories where people work past whatever issues they have because it's closer to real life than the fairytales that give you the insta-love/happily ever after and this book gave me the real deal. However, this isn't a story where I found myself emotionally invested in the characters. Reading Luke and Brenna's story, I felt more like an observer just watching what was happening rather than actually caring. Luke is a great guy though and yeah, I was rooting for him but frankly, I wasn't a fan of Brenna. Usually I can empathize with a girl's issues but in Brenna's case, I couldn't see what her appeal was except for their shared past. If you're looking for a typical romance/feel-good novel, Second Chances is perfect for that. It won't disappoint.